Tallahassee is just getting accustomed to the lack of inventory of homes in the most-active price ranges. 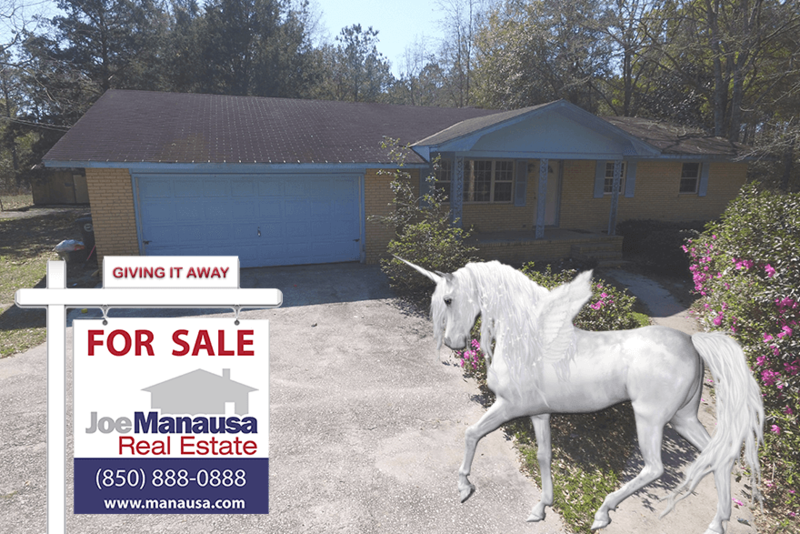 For example, if you want to buy a home priced from $175K to $225 in NE Tallahassee, it's like trying to find the elusive unicorn. Are You Really Shopping For A House Or Merely Looking For A Unicorn? The topic today covers two very common points that homebuyers should address before entering the market. First of all, there are always the "new" buyers in the market that think they should make low-ball offers so they can "get a deal." They have cautious appetites because they are scared of making a mistake. They think "I want a house on the Gulf of Mexico within walking distance of a world class golf course with a Ferrari in the four-car garage, all for under $250,000." Needless to say, that simply does not exist. If the supply of homes was in a glut, perhaps a wait and see approach might work on over-priced homes. But right now, for homes priced $175,000 to $225,000 in NE Tallahassee, there are simply too few homes for all the people who are ready to buy in this price range. Secondly, the best home values to be found are rare and you better act when you find them. Typically, homes in the $175K to $225K price range in Northeast Tallahassee sell right as they hit the market (an often times before), so scheduling a showing for any time later than "right now" will have you miss the best deals on the market. It will often seem that homes in this price range are as mythical as a unicorn. The people who are successfully buying have been shopping, and they know EVERYTHING on the market in their desired area and price range. They make smart offers when they find the home they want, and they have equipped themselves with the best allies to win the negotiations. So if you are looking to steal a house in the $175K to $225K price range in NE Tallahassee, I suspect you'll be very frustrated. Over time, you watch the homes get smaller and smaller (as home values are appreciating rapidly in this price range). Recommendation: Get In or Get Out ... of the market. Don't frustrate yourself as all the best homes sell and their replacements are smaller and have fewer amenities. If you are not ready to move, don't dabble in the hottest area and price range in Tallahassee. But if you are "in," then drop me a note and we'll reach out to you right away to help you prepare to win the home of your dreams.